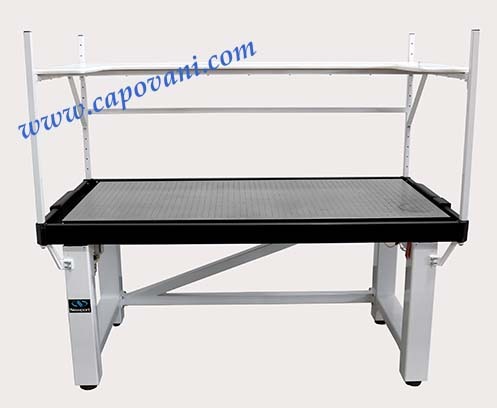 In addition to this Newport VH 3060W-OPT, Capovani Brothers Inc stocks a wide range of used optical tables and vibration isolation tables. Typical manufacturers include Barry Controls, Ealing Electro-Optics, Kinetic Systems, Newport, and Technical Manufacturing Corp.(TMC). This used vibration isolation optical table and all the other used and refurbished semiconductor, scientific, and laboratory equipment listed on this website are owned by Capovani Brothers Inc. and stored at our facility in Scotia, NY. Other Information Sealed hole breadboard 2.3" thick, 1/4" x 20 threaded holes, 1" on center.